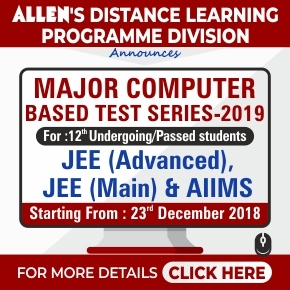 Students of Allen NEET PG Online Test Series have once again proved their preponderance. 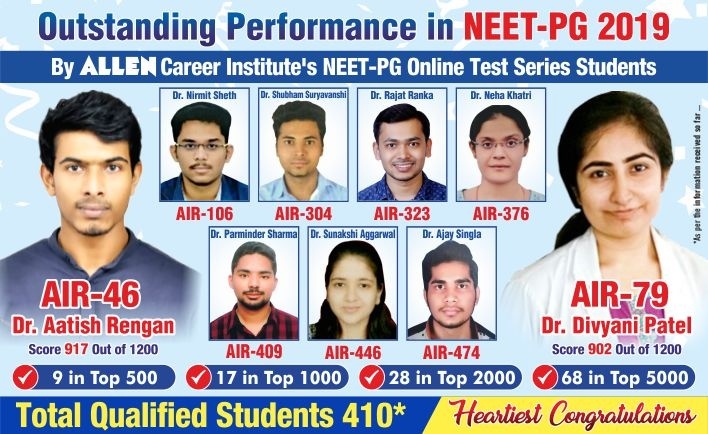 Two students of Allen NEET PG Online Test Series have received All India Rank 46 and All India Rank 79 respectively in the NEET-PG 2019 examination declared by the National Board of Examination. Sh. Naveen Maheshwari, director of the institute told that Dr. Aatish Rengan secured AIR-46 and Dr. Divyani Patel got AIR-79. 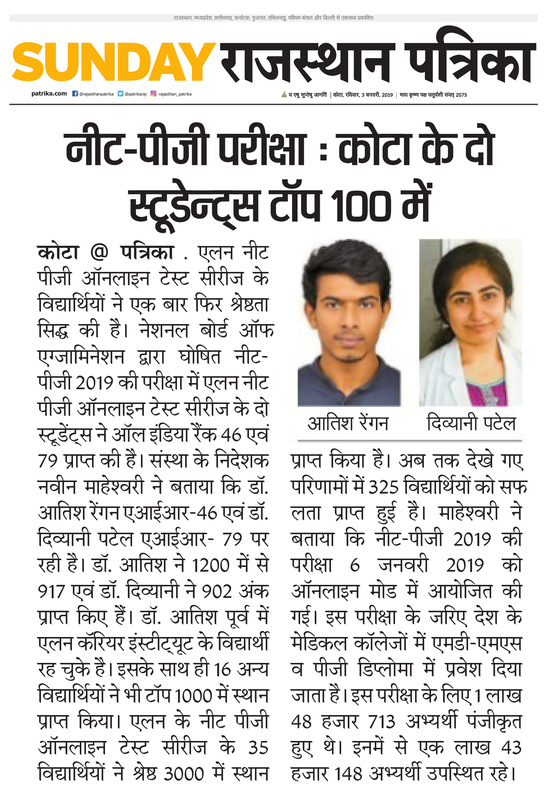 Dr. Aatish has 917 marks out of 1200 and Dr. Divyani has received 902 points. 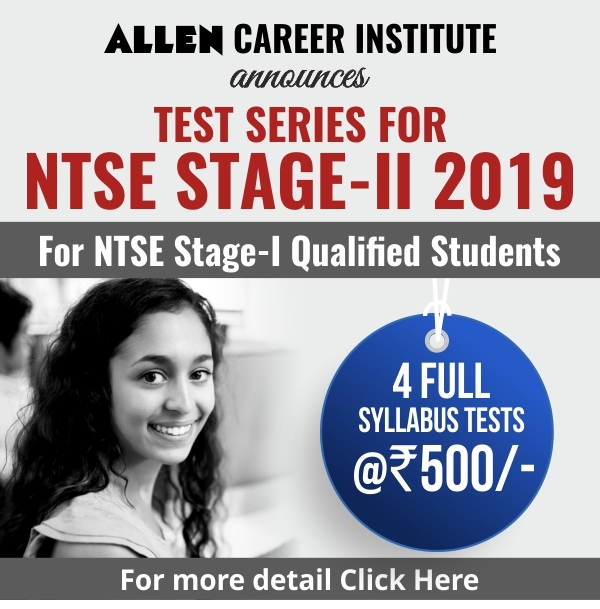 Dr. Aatish has already been a student of the Allen Career Institute. 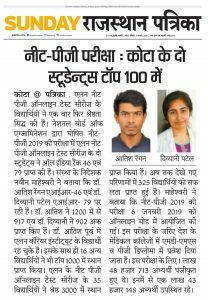 Along with this, 16 other students also got a place in the top 1000. 35 students from Allen’s PG Online Test Series has got a place in the top 3,000. So far 410* students have been successful in the results concluded. 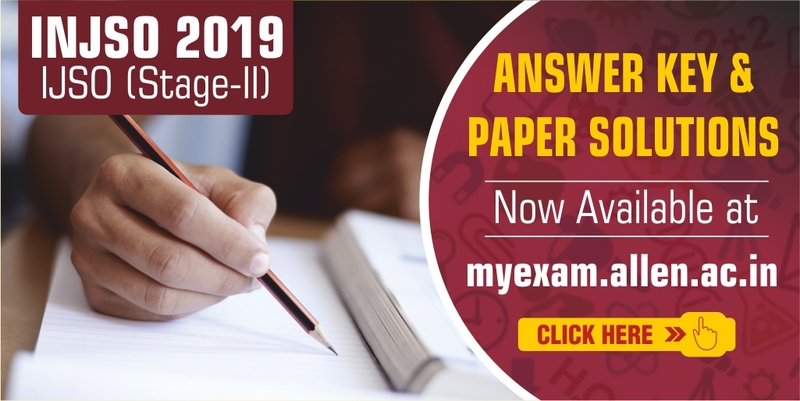 Sir Maheshwari said that NEET-PG-2019 examination was conducted in online mode on January 6, 2019. Through this examination, admission is given in the MD-MS and PG diplomas in the medical colleges of the country.